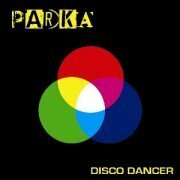 The last few months have been a whirlwind of success for Parka who, having taken part in their first nationwide tour this year, saw their debut single shoot to number 11 in the indie charts. During this time the band not only played their strangest gig yet at The Great Escape where they entertained muso’s and hen parties alike at Brighton Pier’s Horatio’s Bar but were also heralded as the hottest new band by Q Magazine. Parka have spent the summer recording their debut album with Iain Gore (SixNationState, Rumble Strips, Kid Harpoon, Blood Red Shoes) at Miloco Studios in London and recently headed out on the road to rid themselves of studio cabin fever. Hailing from Scotland but now based in London, Parka have toured with the likes of Switches, Foals, Boy Kill Boy and The Young Knives in 2007 and have been winning over increasing numbers of fans along the way. Their recent Xfm Scotland session saw the band cover Shakira’s ‘Hips Don’t Lie’ and had the studio rolling about in hysterics by the time they got to the chorus. Check out the free download of last single ‘If You Wanna?’ recorded at that very session on the band’s website, www.parkamusic.com. *tracks also featured on the 7″.